Mindset, which is a part of Emotional Intelligence, is paramount for good relationships, business dealings, and the enjoyment of life. What is emotional intelligence? It is the ability to be self-aware, be focused, and have a sense of well-being. 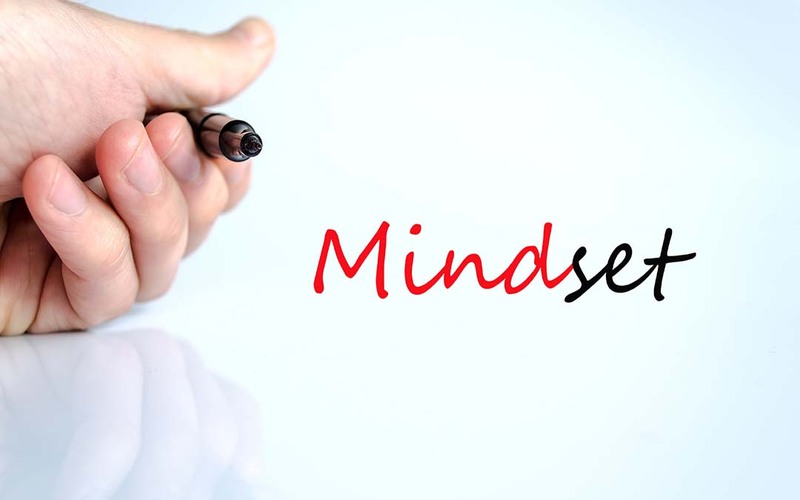 For some individuals what is needed is a change of the way one thinks, often referred to as “mindset.” The “way” one thinks may require adjusting through a choice that wasn’t there before such as; permission to be more, or different, than the family in which you come from. Most of the rules and teaching from family are well intended, but they may not fit the times or present-day events. Use thoughts such as I deserve vs. I ‘ll try. Others & groups also shape our mindset. The Victim, Entitled, Rich, or any mentality that puts you in a group. The group defines the parameters of thinking, believing, and becoming. Even self-help groups can keep your mind thinking a certain way that supports the negative part of self. How does one change? Begin by defining what groups you are stuck in that no longer serves you. Next, find books, videos, speakers that help you experience what can be achieved and inspire you. As you do these, check in with self and create a list of feelings, emotions, stories, and/or thought patterns that keep you stuck. Work with others to break through these patterns and then check in with someone who can be truly honest with you as to your progress. This is the most crucial step. Make sure the person you are asking for help does not have their own agenda in keeping you stuck. Work on yourself to change the way you think first, then go out into the world and see what it gives you.